Your business needs your full attention. Partnering with Mount Vernon Bank & Trust Company for your business banking needs gives you peace of mind when it comes to your company’s finances and allows you to focus on more important things. Mount Vernon Bank & Trust Company offers a variety of business checking accounts, as well as a number of business services such as cash management and day-to-day business items. You can also take advantage of our credit cards and Online Banking to add a bit of flexibility into your business’s finances. 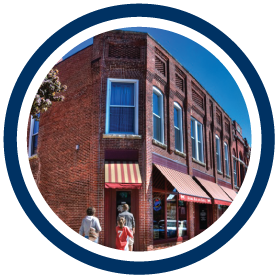 Mount Vernon Bank & Trust Company is proud to be the business banking partner of many Mount Vernon and Lisbon area businesses. Contact us today to see how we can help your company succeed for years to come.